IMAM MUSJAB has written 1753 stories on this site. What is the diffrence between CMI and Industrial All Risk ins. including the diffrence of deductible. – IAR suitable for property owners, warehouses, and general industry where property and stocks have higher value than machinery whilst in contrast CMI suits for power plants, refineries, chemical industries etc where machineries are of greater value than civil construction and stocks. I Have sent you th. 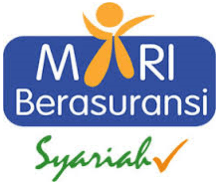 email extract of Industrial Insurance materiel for your kind perusal in which they mention that MB is covered in IAR. Your website is very informative in all respect. However, information on IAR is not found. What is the amount of deductible and limit of indemnity in special covers and special conditions under COM.?_? Below clause is a part of our CMI policy, can I understand that below clause is covering risk in premises of third party as well as transit risk? 3.7.1 The insurer shall indemnify the insured in respect of any loss or damage to property insured (other than stock if insured hereby) temporarily removed for cleaning, renovation, repairs or maintenance to any other location whilst in transit thereto or therefrom by road, rail or inland waterway. Could you please send me an email of detailed differences between IAR and CMI? Apa yang tidak disampaikan oleh perusahaan asuransi kepada anda? What Changes on Property Rate in Indonesia after New OJK Tariff Regulation? Apa yang berubah pada SE Tarif OJK 2015? Powered by WordPress.org, Custom Theme and ComFi.com Calling Card Company.